Munroe Regional Medical Center recognized for creating an extraordinary patient experience by individualizing, personalizing and humanizing healthcare for women and their families. Munroe is honored to be one of only 287 hospitals nationwide to have received the Women’s Choice Award as one of America’s Best Hospitals in Heart Care. Munroe Regional Medical Center is a winner of the Women’s Choice Award as one of America’s Best Hospitals in Heart Care. Munroe is one of only 287 hospitals nationwide, including only 14 in Florida, to earn this distinction. As more women self-manage their care and seek providers they can trust, the Women’s Choice Award is the only distinction that identifies the nation’s best healthcare institutions and signifies Munroe’s commitment and passion for creating an extraordinary healthcare experience. February was American Heart Month and it is more important than ever to raise awareness of heart care, as one in every four women dies from heart disease in the United States, according to the Centers for Disease Control and Prevention. Munroe Regional Medical Center is a acute care hospital located in Ocala, Florida. Munroe Regional has been serving the residents of Marion County and surrounding communities for 116-years. The medical center has 421 licensed beds, 2,500 associates, 500 physicians and 1,700 volunteers. Munroe Regional admits over 22,000 patients each year, treats over 101,000 in three emergency departments, and sees another 51,000 for other outpatient needs. Munroe Regional’s mission is to improve the health of our community by delivering compassionate, innovative care through exceptional people doing extraordinary works. Munroe Regional is located at 1500 SW 1st Ave, Ocala, Florida. Website address is http://www.MunroeRegional.com. Main telephone number is (352) 351-7200. The Women’s Choice Award sets the standard for helping women make smarter choices by collectively identifying the brands, products and services most recommended and trusted by women and those that deliver a customer experience worthy of her recommendation. Awards are based on surveys of thousands of women, as well as research conducted in partnership with the Wharton School of the University of Pennsylvania on what drives the consumer experience for women vs. men. 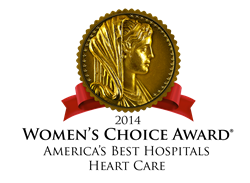 As the leading advocate for female consumers, WomenCertified®, home of the Women’s Choice Award, created the first national award based on the ratings and preferences of women to provide them with a collective voice. Women can make their preferences heard and be part of the mission toward a million voices strong by visiting the Women’s Choice Award official website at http://www.womenschoiceaward.com and joining the network.